Utilise Klevu’s brand new integration with dotdigital (one of the world’s leading email marketing providers) for more intuitive product promotions in your email marketing campaigns. A search function on an eCommerce store provides an opportunity for users to search specifically for the product or category they’re looking for, in a way bridging the gap between online and offline shopping; where customers can ask a member of staff very specific questions. An example of this could be the specific item they’re looking for, the sizes, colour or materials available or the cost of the item. The requested information is extremely useful to the merchant as they’re able to promote / serve the correct product to the customer. There are various reasons for a customer not completing a purchase, including pricing, willingness to compare across different sites, not wanting to purchase straight away etc. However, research suggests that product-level remarketing will significantly increase the likelihood of them eventually converting. Since Klevu has an understanding of what users are looking for, we believe we possess the most valuable data to inform these marketing efforts, especially for email. dotdigital is one of the world’s leading and fastest growing platforms in email marketing and marketing automation. Combining Klevu’s ability to produce relevant suggestions with that of dotdigital to produce highly effective marketing emails and workflows, we believe we can significantly improve the effectiveness of our customers’ email marketing efforts. 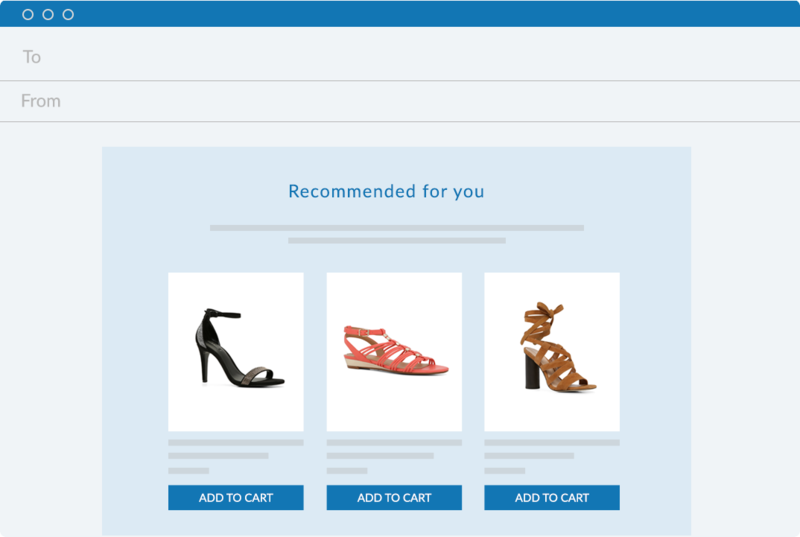 If a merchant is utilising both dotdigital (for email marketing) and Klevu (for site search), they’re able to integrate product suggestions, based on what users have searched, directly into their marketing emails.